Javi Amador teaching the kids to draw their houses. Joshua Emmanuel Tan checking Mhico’s art work. Jane showing her artwork to Joshua. Jane gets her stamp after finishing her artwork. Irene trying her hand in drawing. Irene excited for her stamp. Javi teaching Samara to draw trees. Brothers, Troy and Tranks busy with their artwork. 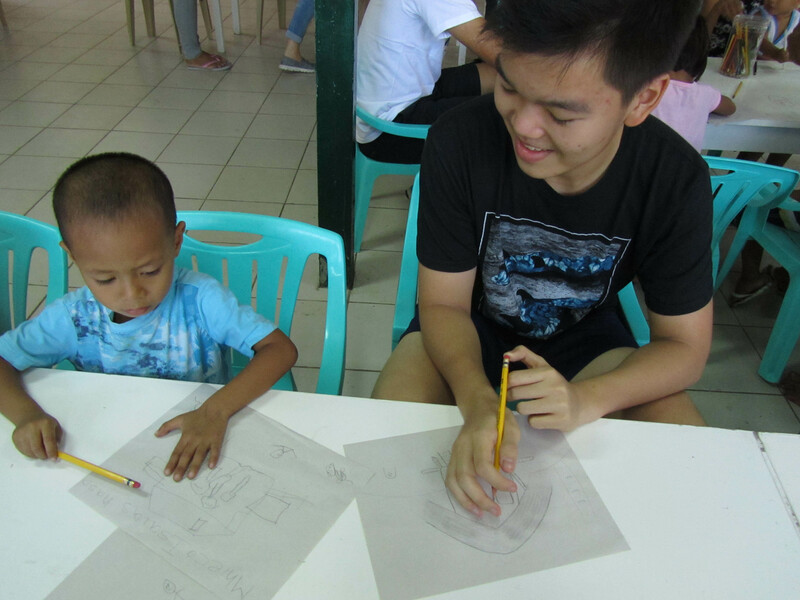 Joshua also enjoyed drawing his own bahay kubo! They like bible stories and books about animals. Kids are eager to learn.